Thank you Bill for being so honest. Heading for a lee shore, wind dropped, still an hour from home with only two hours of tide left to sneak in. Pull the string...and enjoy rather than stress. Nothing wrong with an engine. What about an electric o/b? Electric is fine, and less polluting, but more suited to day sailing than cruising, because the battery has to be charged, which can best be done ashore where there is access to mains power. Solar charging for the battery of an outboard engine takes too long. 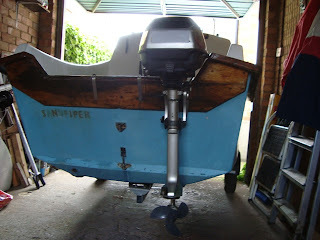 Trickle charging during the week may be adequate if the boat is only sailed at weekends. A wind operated generator may be better, especially with the current dull weather. Better still, have both!